Spruce grouse (Falcipennis canadensis) are one of relatively few birds capable of year-round residency in northern forests; a feat they achieve due to a strong adaptive relationship with short-needled conifers. Throughout much of their North American range, Spruce Grouse reside in conifer ecosystems where fire is a major disturbance agent, and literature suggests that population densities peak in mid-successional conifer forests with a recent history of stand-replacing fire. However, not all Spruce Grouse populations inhabit fire-driven systems, and the role of timber harvest as a disturbance agent affecting Spruce Grouse habitat, either independent of or in conjunction with fire, is unclear. Research in my lab has recently explored Spruce Grouse population ecology and habitat relationships in commercially-managed forests of northern Maine. In this system, a large outbreak of Spruce Budworm in the 1970s resulted in widespread salvage clearcutting and subsequent post-harvest treatments (aerial herbicide and pre-commercial thinning) to promote conifer regeneration and growth. 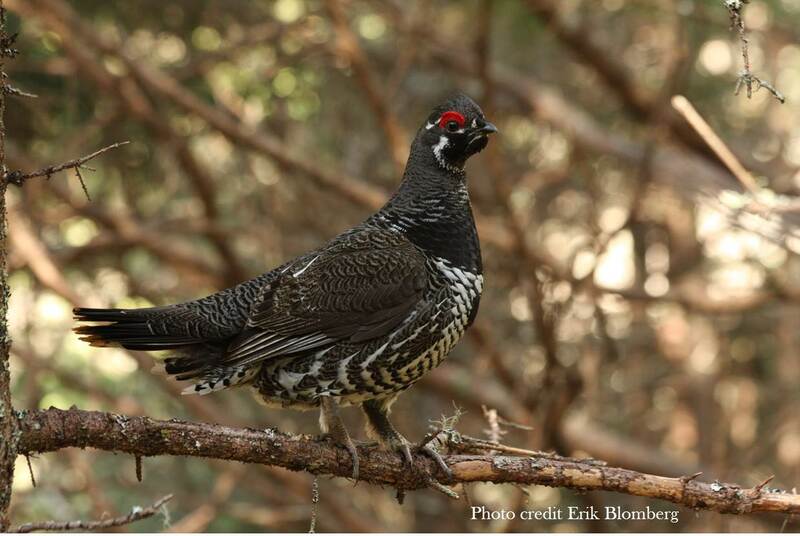 We used radio-telemetry to monitor Spruce Grouse habitat use, survival, and reproductive output during a 6-year study period, and evaluated the relationship between Spruce Grouse demographics and the legacy of forest management within the system. In this webinar I will review what is known about how Spruce Grouse relate to forest disturbance in general. I will then show that in our study system Spruce Grouse exhibited both positive and negative response to particular forest practices, but response differed depending on which life-stage and demographic rate we focused on. Drawing evidence from a stage-based population model, I will further discuss the implications of changing forest practices to future population trajectories in Maine, and will close by relating the demographic relationships we see in this commercial forest system to conifer ecosystems where fire is a dominant disturbance agent.